Steven Wilson is one of the most versatile and prolific artists currently active, having recorded over 40 studio albums and working as a producer for many others (Opeth, Tears for Fears, Yes, King Crimson, Jethro Tull, etc.). Prior to his solo career he was most known as the frontman of Porcupine Tree, a blend of prog, metal, psychedelic, and pop that was both technical and accessible. He’s also worked on experimental albums such as Bass Communion and various side projects. No-Man, a trip-hop collaboration with multi-instrumentalist Tim Bowness is a much more mellow and beautiful sound featuring lush soundscapes, and orchestral layers. Blackfield, an alternative rock group featuring Israeli artist Aviv Geffen, is more of a rock band. Storm Corrosion was a collaboration with Mickael Åkerfeldt, frontman of death metal band Opeth. Wilson’s wide range of influence has been evident throughout his career and now his newly released 5th solo album To the Bone, is Wilson’s ode to 80s pop acts like Tears for Fears, TalkTalk, Kate Bush and Peter Gabriel. This album is Wilson’s response to a pop industry that he’s criticized for lacking experimentation. Though much has been said of his pop-direction, Wilson has displayed pop influence before. He has plenty of catchy hooks on albums like Porcupine Tree’s In Absentia and Deadwing. With exception of a couple songs, this album doesn’t push as far in the direction of pop music as I had expected. 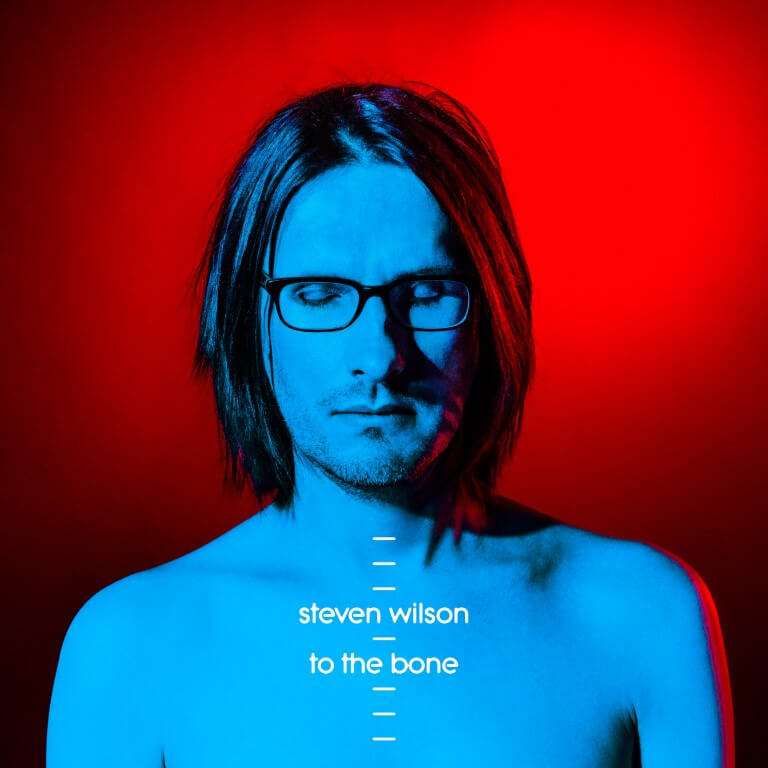 To the Bone ends up sounding less like a new direction and more like some of his more poppy Porcupine Tree and Blackfield songs. There’s much to like about To the Bone, which has the tough task of following up his 2015 masterpiece Hand.Cannot.Erase. The album begins with a steampunk-esque harmonica over guitar and percussion that is reprised throughout the album and his love of music and wide range of influences is evident throughout. there are some good pop songs as well. “Permanenting” has a nice Abba feel to it and provides a nice change to Wilson’s usual melancholic atmospheres. “The Same Asylum as Before” has a catchy chorus and a falsetto verse reminiscent of Muse’s “Supermassive Black Holes”, although the vocals in the verse seem forced and outside of Wilson’s comfort zone. “Refuge” builds up to an emotional guitar solo reminiscent of Porcupine Tree, while songs like “Nowhere Now” draw from the pop-rock sound of Blackfield. These bright spots show great potential, but the lack of direction really hold the album back. One of my favorite things about his previous album, Hand.Cannot.Erase, was its unpredictable song structures. This album also has surprises, but it often transitions clumsily from one part to another. There’s a lot of promising moments in the album, but they never quite come together cohesively, making To the Bone feel more like a rough draft than a prog-pop masterpiece. A good example of this is the first single released, “Pariah”. There’s elements to like: The verses are beautiful and the guest singer, Israeli popstar Ninet Tayeb, provides powerful vocals on the chorus and bridge. While they do work okay together, it feels like both parts would work better if they were expanded into their own song. The chorus disrupts the flow of the verse a bit and the verse squelches the power of the chorus. It isn’t until the second chorus flows into the bridge that the song feels consistent. But what really kills the track is the lyrics. Though Wilson often puts a lot of thought into the concepts of his songs, his lyrics have always been a weakness, though he has improved in this regard over the years. “Pariah” is a step backward lyrically, with reminiscence of Porcupine Tree’s Fear of a Blank Planet–an album so incredible musically that it was able to overcome its trite and uninspired lyrics. The same can’t be said of “Pariah”. Overall To the Bone has all the good ingredients of being a great album, but lacks a cohesive recipe.